Baywood Villages in Chesterfield. 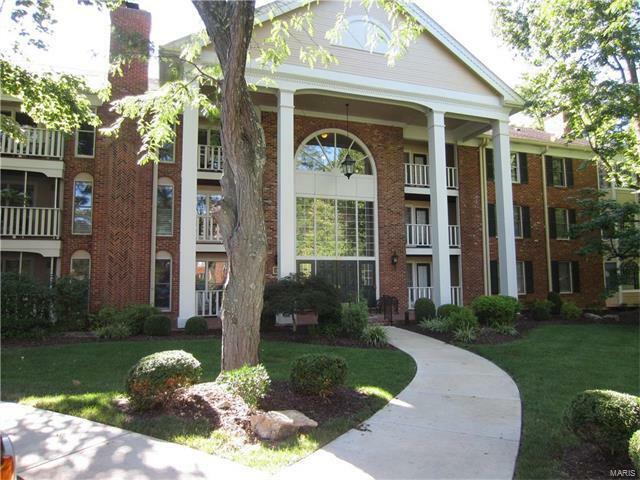 Fabulous 1st floor 3 bedroom, 2 bath condo, ready for IMMEDIATE OCCUPANCY! Includes washer/dryer laundry in main floor laundry, spacious living room with gas fireplace, HUGE master bedroom suite with covered porch, walkin closet & luxury bath with whirlpool tub & shower. Elevator building including heated garage with spot. All appliances stay. Wonderful location, close to highway, retail, & restaurants. Enjoy clubhouse, pool, tennis courts. Hway. 40/64 to Woods Mill North. West on Conway. Right on Baywood Village. Right on Ambridge Ct.